Coming up with a theme can be one of the biggest challenges when planning a kids’ party. You are faced with coming up with gender neutral ideas and want something that won’t make any of the guests feel left out or bored. Cars: Even girls will get a kick out of a car themed party especially if they get to drive one. Kids go karting is, we think, the ultimate birthday party idea that gets kids out there having fun and appeals to a number of age groups as well. It is well supervised, noisy and a ball making it a no brainer for a day everyone will enjoy. 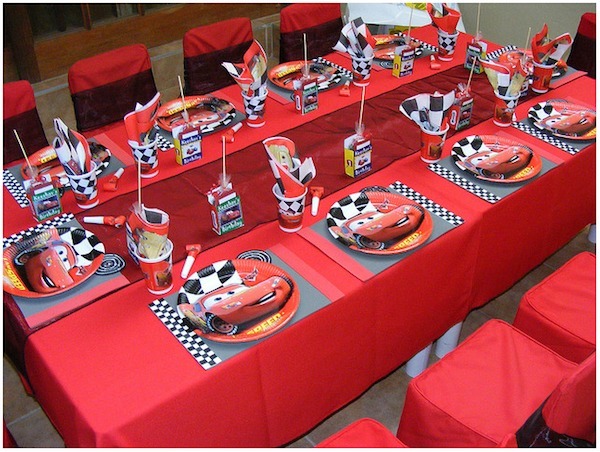 It is also an easy theme to work with as you will have no problem finding decorations, cakes and even goody bags and invitations with a car theme. Soccer: Both girls and boys love soccer and you can come up with a soccer party with very little effort. Whether you plan it in your own back yard or go to the local park you can have plenty of fun with a soccer theme. Kids will love participating in fun exercises and activities and you can have fun coming up with the decorations, cake and goody bags that will go perfectly with this lovable theme. You can actually choose any sport, but soccer seems to appeal to more kids overall. Skating Party: Both boys and girls can get in on the fun at a skating party, the perfect winter birthday idea. You can book time at a local rink and even arrange to offer lessons for kids. As long as they are dressed in a snow suit kids will have fun sliding around and you can even bring along some pylons to help kids who can’t skate. Bowling: Bowling is fun for kids of all ages. Even if they don’t knock down any pins they will have fun trying. Bowling is also something parents will enjoy and you can have parents play along and help kids out. Bowling is a great option if you want something different and it will certainly keep kids occupied for a few hours of fun. Lego Birthday Party: Lego is one of the most popular toys in the world. The beauty of Lego is that it appeals to both girls and boys and you can custom the activities to each gender. You can have an assortment of Lego sets that kids can choose from or you can have a girl’s table and a boy’s table. You can easily create a cool Lego décor plan and even create a clever Lego cake. Finding party themes that will appeal to both boys and girls is not easy but these ideas are sure to keep them laughing and busy for a few hours just long enough to have some fun, cake and lovely parting gifts.